When Newcastle United agreed a deal to bring West Brom striker Salomon Rondon to St James’ Park for the 2018/19 campaign, eyebrows were raised as to why manager Rafa Benitez sought so hard to sign the Venezuelan. Rondon was recently relegated with the Baggies, while he was hardly prolific in the Premier League, in addition. The striker’s highest goalscoring tally at The Hawthorns was in the 2015/16 season where he scored nine goals. Since then he has amassed eight and seven goals in the following seasons. 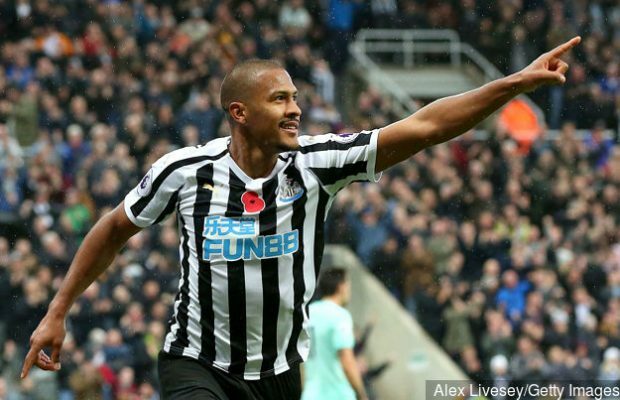 Fast-forward to the latter stages of this season and Rondon has equalled his highest-scoring record at Newcastle United, with nine goals in 24 matches in the Premier League, while he has also been one of the team’s stellar performers this campaign. The signing of Rondon has proved quite a stroke of genius by Benitez, with the number nine being the focal point for the Newcastle team. His aerial threat, strength and hold-up play allows his team-mates to play off him and advance from there when attacking; the recent acquisition of Miguel Almiron has also enhanced United’s forward line, with Almiron, Rondon and Ayoze Perez beginning to feed off each other amiably. Rondon has also provided five assists this campaign, offering more than just goals. He is also a threat from set-pieces as seen from his latest goal – a direct free-kick against AFC Bournemouth. Newcastle only managed to muster a loan deal for the forward, with Dwight Gayle also going the opposite direction. The Magpies hierarchy were not prepared to match Rondon’s £16.5m release clause, mainly due to concerns over his age. Newcastle United owner Mike Ashley tends to favour signing younger players with high sell-on potential, with Rondon not fitting his questionable requirements. However, from witnessing the striker’s presence and pivotal role for Newcastle, it would be unwise not to sign the Venezuelan permanently. ← Previous Story Atletico Madrid: Has the Simeone Effect finally worn off?